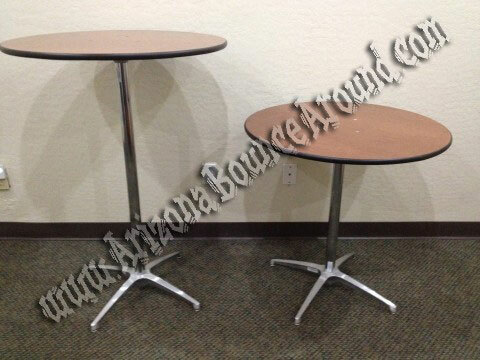 Cocktail table rentals from Arizona Bounce Around are available in 2 different sizes. We have a 42" stand up cocktail table available for outdoor patios and other areas that do not have seating. The other size we have is a 30" sit down cocktail table for placing in between seating as a drink table. These drink tables are excellent for creating a social atmosphere and allow your guests places to gather together.